For great sales efforts in January and February of 2018 with 3 different contests for participating stations! We are looking for one salesperson to win BIG! The Salesperson, that generates the highest revenue in the contest period, will win a new iPad Air 2 and breakfast for the entire sales team to celebrate as we all know the importance and power of great teamwork! Does your sales team have what it takes?! The station with the top sales generated with any new promotion launches (auctions or deals) will win a new iPad Air 2 for the Manager and breakfast for the winning team! 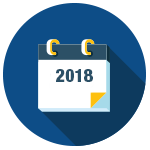 The lucky person that schedules your auctions will receive an entry form for every auction that is scheduled with NeoFill before February 28th. Your entry will go into a drawing for one of four $50 gift cards. Simply schedule ahead for more chances to win! Valentine's Day For Her Means Revenue For You!